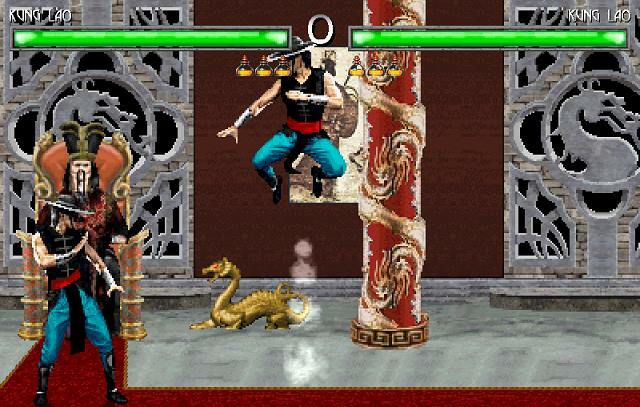 Since late 2008 I have been knowing and stirring with mugen , especially with MK . I decided to build my own game , and founded a group. The pobre inc..
Purpose of the game - Gather all the material available on the internet MK ( chars , stages ) in a project that has quality . Will have rather a lot of quantity, but the main gameplay will be no bugs, no errors . 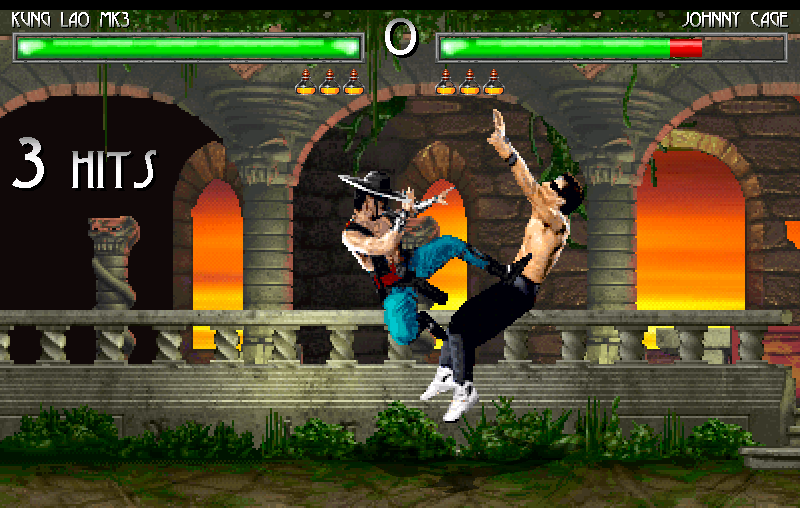 Improve palettes , improve the position of collision boxes, insert fatalities, babalities, friendshipies, harakiris .... Finally, fix whatever is wrong. Fix deltas stages, music .. etc. etc. . The intention is to make a fun game, no crashes, and pleasing in appearance . 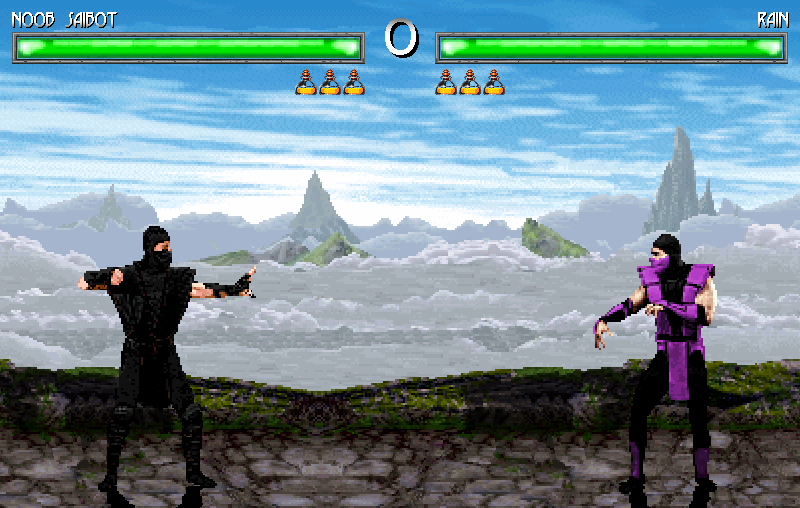 Story Game - All chars of all Mortal Kombat universes gathered in one war. 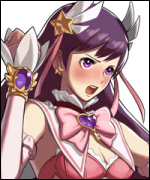 And with the possibility of other characters from other realities . One story explains it all, and that this union is made ​​possible. Future will be revealed this plot. It is simple, but extremely important . Chars - Besides the already known Games MK1 , MK2 , MK3 ... etc., will have several new. Former bad chars or chars that are only copies(only changed palettes) of others, will be improved and remade with new moves. The A.I. be improved. New palettes. Corrections in all files. The most chars can be introduced into the game, but always with the aim of quality, without the unnecessary repetition of characters(as in many builds). Stages - All the classics, many new, a lot of interactivity and new stages fatalities. Engine - MKP4.1, with corrections and improvements. And, always, the latest version of MUGEN. New - Lifebars, battleplan, Screenpack... all this and more new things. Commitments and permissions - It is an item of extreme importance... I've asked many breeders and got success. And keep searching forever maintain friendships with them. There will always be the concern that everything be done ethically, morally and transparency. Thanks - I confess that my friend Osmar Brol inspired me to do this project. He keeps something, but with chars and stages regular mugen. I liked the idea. I thank him for thinking the same thing. Thanks also to Japa and Bruno. Many thanks will be made ​​over the course of the project. Soon , more pictures and videos. Help, suggestions, ideas, criticism, contributions, donation of chars, stages and sprites will always be welcome. wow dude your comments so far were so damn helpful. I would keep Akuma if any fighters since he WOULD kill someone. Ryu...not so much. Akuma & M.Bison would fit very well in my opinion. Street Fighter: The Movie Akuma ftw. Good luck with this... wish I could help but I'm too busy at the moment. I appreciate all the comments .... thanks for the support. it is solved by editing the sprites. That Akuma looks awesome! Is this the gameplay you are using? Little too flashy for MK, but if every character will use it its ok.
Akumas voice sounds should be more simple, notice that MK/MK2/MK3 didnt had much voice acting besides Shao Kahn. Yes, friend..... this is the gameplay. And changes yet to come .... everything to make the game more fun, less truncated. Regarding voices .... well, each character will have their own voice. This will help make chars more differentiated from each other. Awesome!! You're making a great great job!!! !! 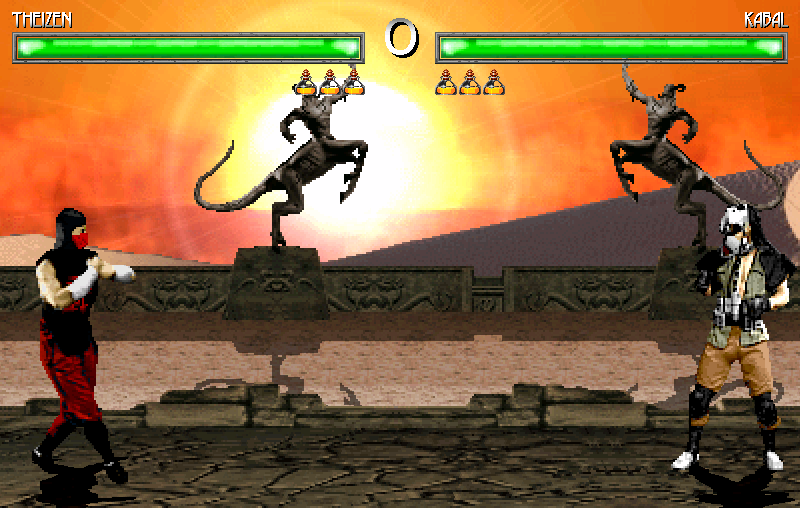 PS: That sand clock...er...lifebars would look better if you erase it and keep things simpler. FeLo..... yes, the lifebars are changed. PLEASE.... which sprite brutality should I use? "Frog"? Seriously? 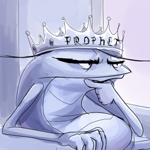 Toad or Amphibian sounds better So you will also add custom characters, not only taken from games. Obrigado, Adriano . It was just my humble opinion,it's your choice leaving that or not. Also, those "brutality" text are both awesome, can't decide! even second looks more like stone, I guess it should keep a closer look to the whole thing. About Frog; is he a cyber version of reptile? In that case, you have sea iguanas too, but maybe it's a long name for him. Or just cut the thing: CYREP(CYber REPtile , as that ERMAC~ERror MACro xD!). I have a question, if you don't mind, are you planning to add other ninjas or kunoichis? Tremor, Chameleon, Khamaelon, Tanya, Skarlet...? I think I saw some sprites of them done(don't know the % of those, though). Well .. technically all chars MK universe will be present in this project. So I seek for help. Mainly to edit sprites. Tremor by behzad and Jackie Chan by temA. Thanks to all who follow the progress of this game. now, I need some feedback ... what people think of the font of round 1? So you continue working in MK Multiverse? That's great! These two stages, i like the concept of them. Nice work Adriano! keep going! Hope your project can be finished! Yours last stages released are really good. One question Adriano, are you planning to re-release your old stages? Glad to see this is still moving along. Some of the stages look like they could use a bit more shadows in general. For example, a shadow of the stargate portal on the wall behind it. Same for the machine next to the portal. Also a shadow of cindel on the thrown behind her legs and below and behind her in general seems like it would fit. Lookin really good all together tho. Downloaded almost all of these. The lifebar font is actually pretty decent, and the whole layout seems nicely sorted. What are those potions meant for, though? A special bar? That Throne Room looks nice Adriano. Indeed they are. I really like original MK stages. Of topic: that smoke was released? That's a good looking stage, but... why is Jade white? 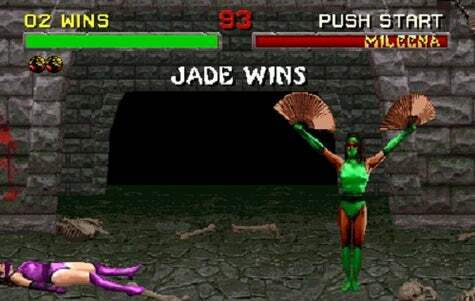 Jade first appeared in Mortal Kombat 2, and remained black in UMK3, MKD, and so on in the rest of all the MK games. The MK movies do not count as canon at all, and treating them as if they did is a big no. 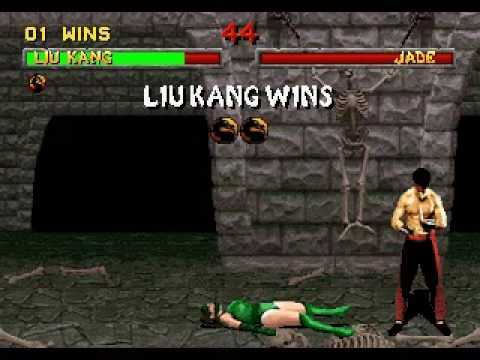 She's white in the sega saturn version of mk2, tho. The project looks great so far! Do you want me to ask saiZero for the props to her other stages (the throne room and the centaur desert)? Glad to see our fake pictures are inspiring your MK projects and it's cool to see our stuff come to life in these games! Keep up the good work. Thank you for contributing to this project. And damn, really a nice stage Adriano. This looks awesome. Nice concept. That's a pretty decent looking stage. I would just make the wall on the background darker, to give the stage a bit of more depth. 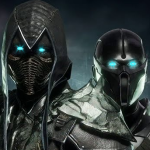 BTW - I am trying to email you my MKX Quan Chi's Fortress, but I get an e-mail back saying it's undeliverable. You got a new one? If so, message me on deviantart or email me from your new address. blacksaibot ... I finally managed to record a video ... others will come. ^^^^ this guy is a true artist. Thanks so much for the video! You did a fantastic job putting it together! I am going to make an updated version this weekend. I am going to try and make the floor match the look in MKX, as well as put the gargoyles at the end of the stairs. I might make some of those "experiment" test tube thingies as well as a bookshelf next to Kahn's armor. I am going to try to make that pool looking thing with the zombie coming out of it. I look forward to more videos man! I just posted an updated version of deviantart. I'm going to try and finish the other props later today. I won't bother e-mailing you until I have the arena completely done (or I give up, which ever comes first). The amount of props and detail this arena requires is ridiculous.... and the space I have to do it is limited. I'm going to try and make a couple of test tube things, Kahn's Hammer stand, finish that "sorcerer's pool" in the middle, that table with candles, and then I'm friggin calling it quits for now. Yes, the backdrop (sky with spikes) is stretched out. I did that so it wouldn't just be a plain color. Obviously, since arenas scroll left and right, it wouldn't be like this at all in an actual game. I sent an email to you ... meanwhile, I can go working on other things. The Quan Chi fortress looks pretty nice. Awesome stuff bruh! Downloading the Dead Woods stage for sure. long ago I made my own custom city MK stage, I wonder if you want it. as part of my contribution ? Thats a very nice stage edit. Its rare to see edits of the city stage from MK3. Also' id like to offer my assitance if you ever need help with ideas in producing some of the stages as well as gathering materials to do so. yes Magic Toaster, sure ... if you, or anyone here have an idea or concept stage, let me know .... if it's a good idea, I'll reproduce. one more wip stage - concept by "saiZero"
hi mates .... someone downloaded these stages? Re: Mortal Kombat Multiverse - I need a favor. Hey Adriano... sorry I've been so inactive lately. School and my new job has kept me very busy. I'd like to try and get you the MK9 dead pool some time before the end of the year. Hi Adriano, I've seen you are a brazilian creator. Would you like to join a brazilian group on facebook for mugen creators? I guess it would help you to share your works, also, it looks like you know a lot about mugen so you could share your knowledge too. If you decide to join us, just add me on facebook or look for the group "M.U.G.E.N Conhecimento"
You have a great project, I will be looking for news. From now on, the project follows on the engine MKP4.1 fixed by Borg117. Special thanks to Felix-WA... more info, in the description. Can someone help me to encode this intro? If Goro is always sitting there (looks like it), then to do this intro for Goro you would need to immediately detect the stage (State 5900 Round Initialization state), and spawn an Explod on sprpriority = -5 (lowest priority) to cover up Goro who will still be sitting there on the stage. The Explod would be a square, with the chair, some of the bg, and a bit of the floor (enough to cover up Goro). trigger1 = StageVar(info.name) = "KuatanPalace"
So what's left after that is using the same StageVar trigger to play the correct Intro. 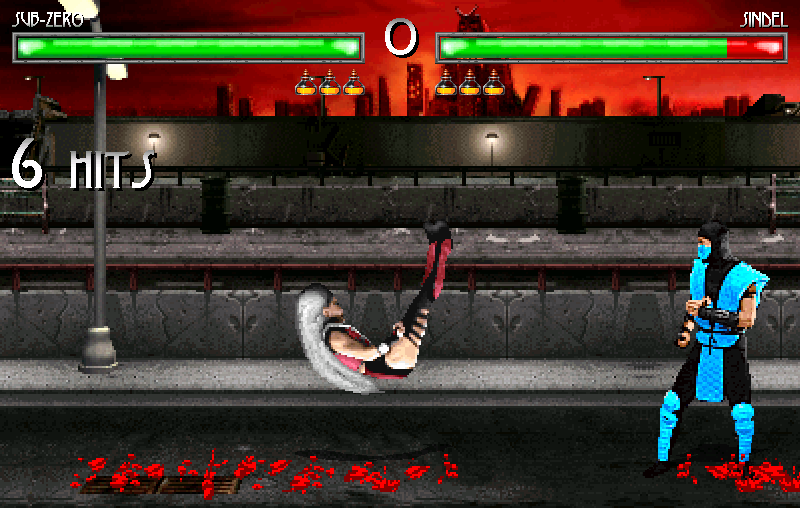 Then move Goro into mid-air and either use a tiny Goro anim, or using AngleDraw scaling to make him smaller. You will want Physics = N for the first part. sprpriority = -4 ;back, but not behind the mask layer. y = -Screenpos Y+100 ;you'll have to adjust the "100"
Ehhh you should be able to fill in the blanks from here. StateTypeSet, change physics to Air, Ground as appropriate. Thank you for your time in this. Stage based on the concepts of "9NoobSybot7"
I've never made a MK style map before and was wanting to make one for this project. Are there any requirements for stages? Like is zoom allowed or not? Are RGB stages allowed? Thank you for visiting and following up on the project. Awesome. I'll see what I can "Frankenstein" up. Simple and well done. Looks pro. Does anyone here handle making special effects? Or do you know a friend who knows? Since there is a better version being made, I will release the old one. Information, credits and download link in the description of video. Thanks. The Warehouse looks awesome. Awesome work Adriano! And thanks for share. 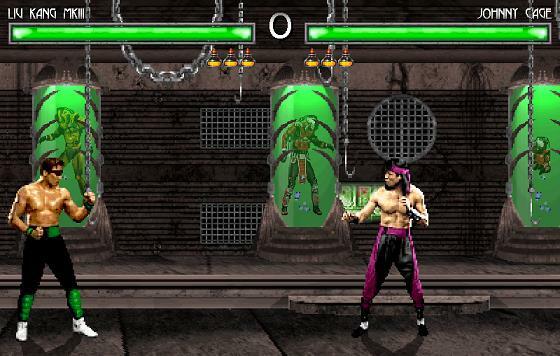 It's a nice stage, but the colours feel a bit to bright for Mortal Kombat in my opinion. Eh... what? 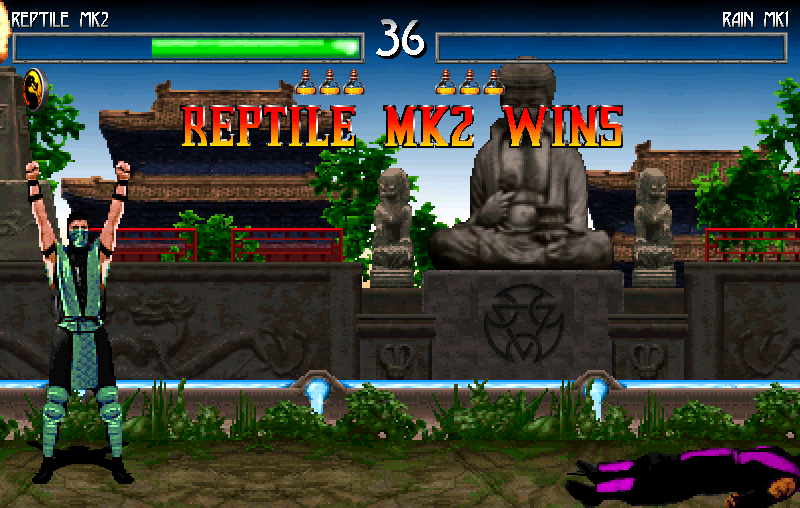 The colors in that sage are darker than most stages from MK1......... and this is an MK1 based arena. Fair and square, mate. 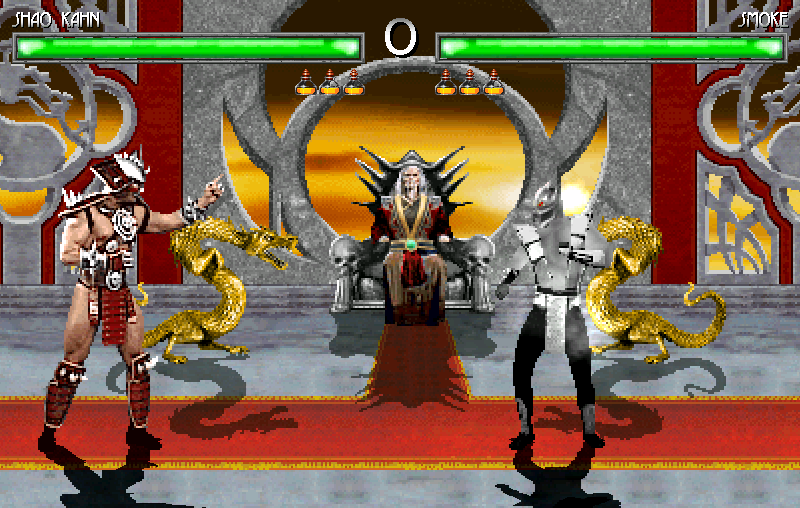 I haven't played that much mortal kombat, but normally the game feels like you're fighting your way towards the gates of hell or something. now, a arena by "fedegita"
The last stage preview looks promising. Great job as always. Which are RIGth version number? Good luck! Well... how yours build these stages? or these charatest... or kombats ones? Good think needs big sprite file? Nice to see your new stages proyects. The Beetle Lair's looks neat!